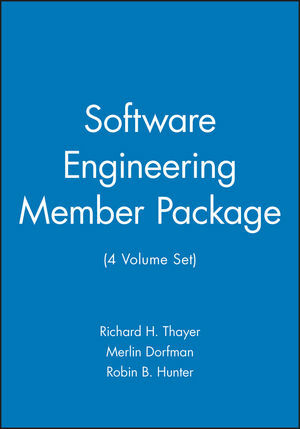 Newly revised for 2001, this second edition of Richard Thayer's popular, bestselling book presents a top-down, practical view of managing a successful software engineering project. The book builds a framework for project management activities based on the planning, organizing, staffing, directing, and controlling model. Thayer provides information designed to help you understand and successfully perform the unique role of a project manager. This book is a must for all project managers in the software field. The text focuses on the five functions of general management by first describing each function and then detailing the project management activities that support each function. This second edition shows you how to manage a software development project, discusses current software engineering management methodologies and techniques, and presents general descriptions and project management problems. The book serves as a guide for your future project management activities. 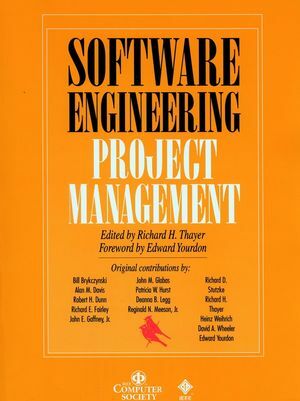 The text also offers students sufficient background and instructional material to serve as a main or supplementary text for a course in software engineering project management. Note: The 2001 revision includes a new Chapter 4 Introduction and a new paper that replaces an older paper. Richard H. Thayer, PhD, is a Professor of Computer Science at California State University, Sacramento, California, United States of America. He travels widely where he consults and lectures on software requirements analysis, software engineering, project management, software engineering standards, and software quality assurance. He is a Visiting Researcher at the University of Strathclyde, Glasgow, Scotland. As an expert in software project management and requirements engineering, he is a consultant to many companies and government agencies. Thayer is a Senior Member of the IEEE Computer Society and the IEEE Software Engineering Standards Subcommittee. He is Chairperson for the Working Group for a Standard for a Software Project Management Plans. He is a Distinguished Visitor for the IEEE Computer Society. He is also an Associate Fellow of the American Institute of Aeronautics and Astronautics (AIAA) where he served on the AIAA Technical Committee on Computer Systems, and he is a member of the Association for Computing Machinery (ACM). He is also a registered professional engineer. He has a BSEE and an MS degree from the University of Illinois at Urbana (1962) and a PhD from the University of California at Santa Barbara (1979) all in Electrical Engineering. He has edited and/or co-edited numerous tutorials for the IEEE Computer Society Press: Software Engineering Project Management (1988), System and Software Requirements Engineering (1990), and Software Engineering--A European Prospective (1992). He is the author of over 40 technical papers and reports on software project management, software engineering, and software engineering standards and is an invited speaker at many national and international software engineering conferences and workshops. Chapter 1: Introduction to Management. Chapter 2: Software Engineering Process. Chapter 3: Software Engineering Project Management. Chapter 4: Planning a Software Engineering Project. Chapter 5: Software Cost, Schedule, and Size. Chapter 6: Organizing a Software Engineering Project. Chapter 7: Staffing a Software Engineering Project. Chapter 8: Directing a Software Engineering Project. Chapter 9: Controlling a Software Engineering Project. Chapter 10: Software Metrics and Visibility of Progress. Chapter 11: Epilogue: The Silver Bullets.